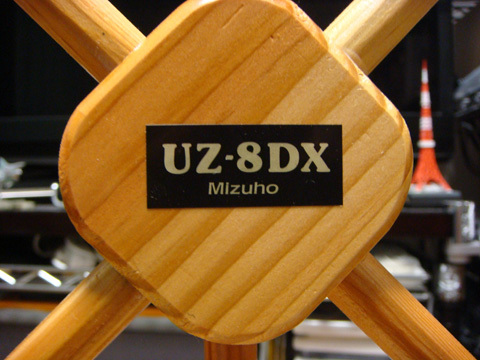 The Mizuho UZ-8DX desktop loop receiving antenna is a classic item of radio gear. 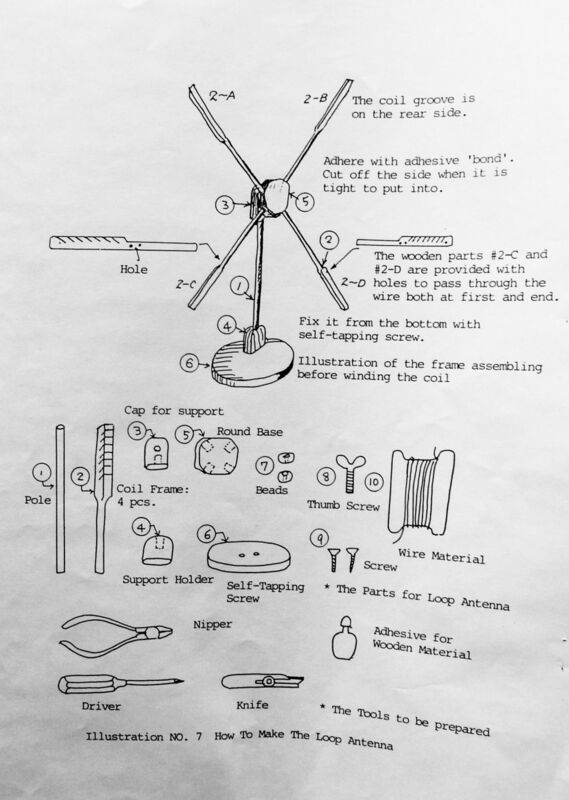 For many years, this antenna was the gold standard in Japan for receiving AM broadcasts with the highest quality. This unit is in the original box and has never been assembled. It is a real collector's item. 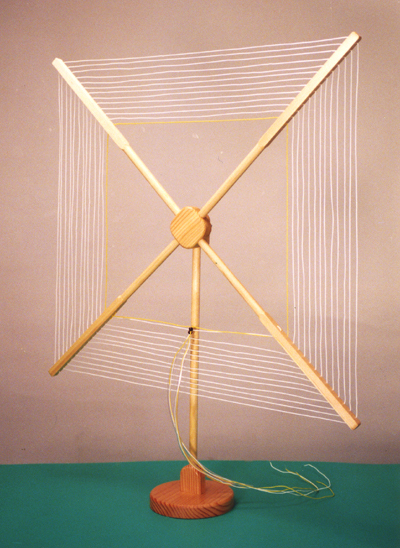 The desktop loop measures 70cm on a side and consists of 12 turns of insulated wire. 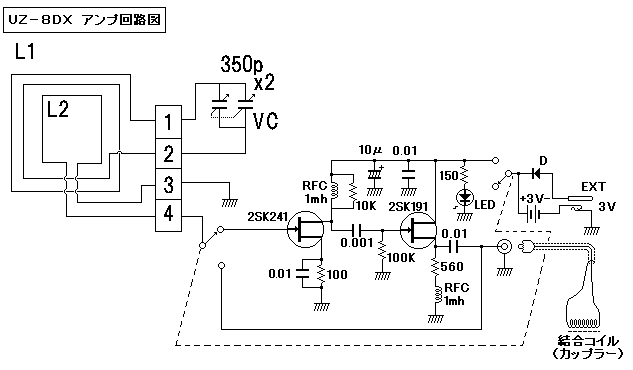 The signal is amplified by a high quality two transistor preamplifier and tuner. 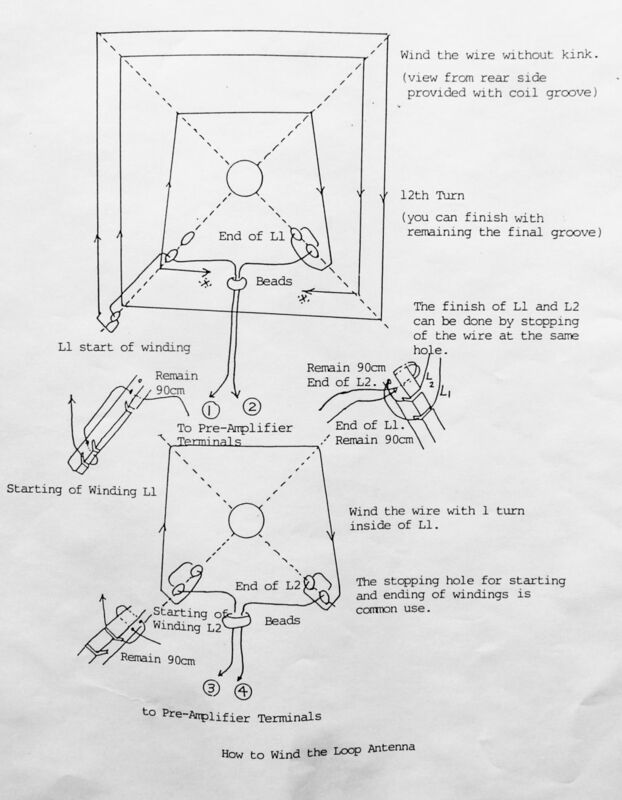 To understand the operation of this kind of loop antenna for receiving, look at Antenna Physics: An Introduction, by Robert J. Zavrel, Jr, W7SX, published by the ARRL, 2016. 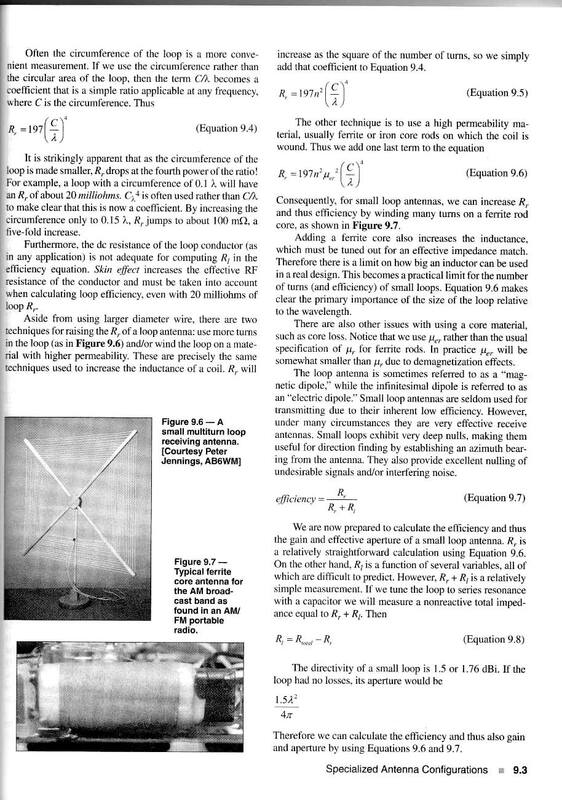 This antenna appears on page 9.3. 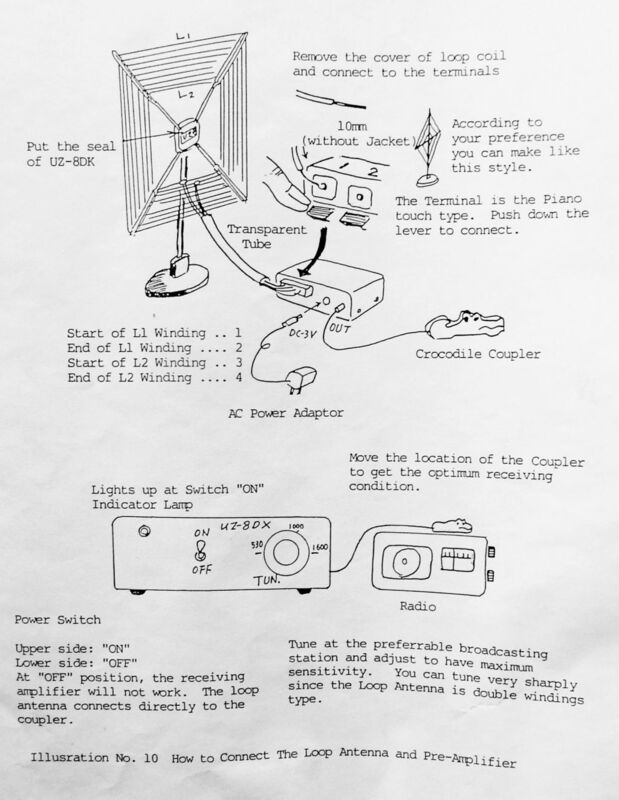 An unusual funky wooden crocodile contains a coupling loop which can be used to couple the amplified signal to the internal ferrite antenna of an AM receiver. 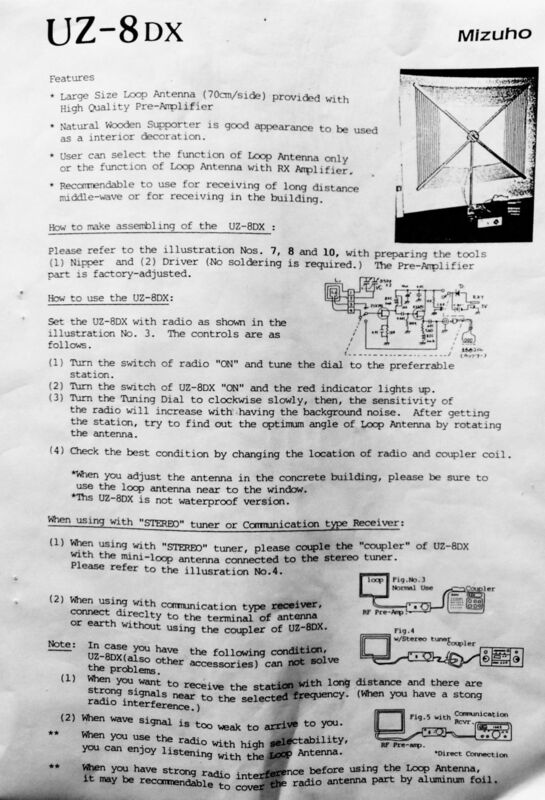 When used with a communications receiver, the antenna can be connected directly to the RX antenna input. 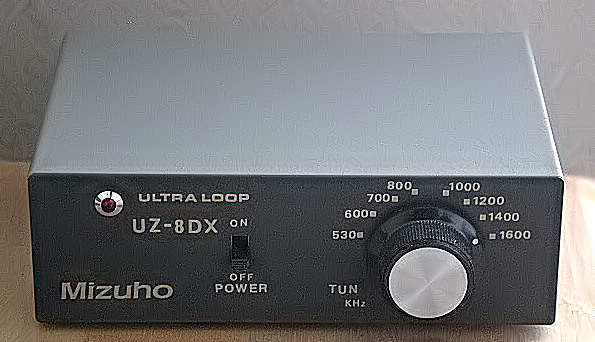 Although designed for 530 to 1600 KHz, the UZ-8DX can easily be adjusted to operate on 160 meters as an amplified receiving antenna. This unit was purchased new in Japan and has never been assembled. It is in its original packaging. A rare find! Asking $200 plus shipping. The original price was ¥14,500. SOLD!